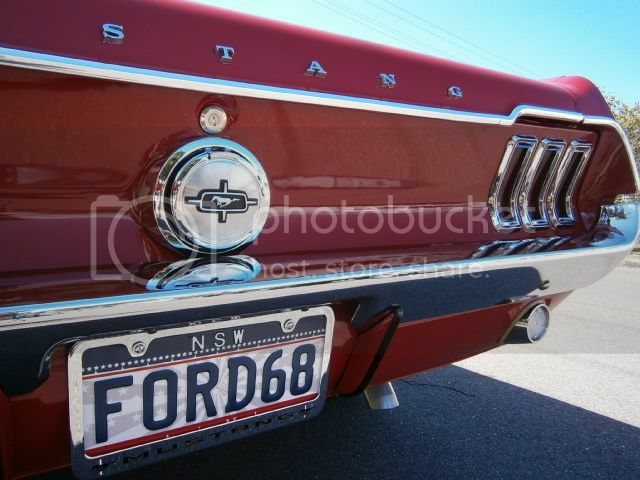 What a sensational venue for your Mustang Roundup and State Concours, no wonder you attracted upwards of 450 cars. Looks like a great day, thanks for the excellent photos. Yep the location was sensational and basically right in the middle of the city of Melbourne. The cars looked super with then old building and leafy trees in the background. So props to the organisers for snagging such a great venue. I even managed to pick up a little hardware with my vert in the show and shine. Best vert and runner up most outstanding vehicle on the day. Not bad for a three tone interior hey Barn!! Always dreamed I'd have one!